Ecolocity® LED accepts returns for items within 30 days from the date of purchase. No returns will be accepted beyond 30 days of original purchase. 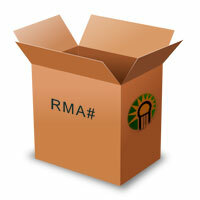 No returns will be accepted without an authorized RMA# from a sales representative. No returns will be accepted on Custom items or Special Orders. Call us at 775-636-6060 or email us at info@ecolocityled.com to obtain an authorized RMA#. Returns on defective products under warranty will only be accepted within the terms of our Warranty Policy and with an authorized RMA# from a sales representative. Once received our technicians will determine the cause of defect. Functioning items must be returned in original packaging with all original components and manuals. Return credits will not be issued to items damaged in return shipment due to insufficient packaging or carrier mishandling. Shipping fees, or any damages occurred during return shipment are the responsibility of the purchaser. Ecolocity LED will not be responsible for lost or damaged return shipments. Refunds for returned items will be issued to the original method of payment. A restocking fee of 12% will be deducted from the credit for each item returned. Restocking fees must be applied since returned products must be tested and can no longer be sold as new or under warranty. This fee will be waived, however, if the customer decides to exchange the item for another product or accept a store credit. Special or customized orders are non-refundable unless product is found to be defective by our technicians. All shipping costs incurred for returning items to Ecolocity LED, including original shipping charges, are the responsibility of the customer. All returns must be authorized and must have an authorized RMA# clearly marked on the box before being shipped back to Ecolocity LED. Please contact info@ecolocityled.com or call 775-636-6060 to obtain an RMA#.